For the next few weeks, Alaska Public Media is collaborating with residents of Covenant House to write stories about young people and finding jobs. It’s part of our project Alaska @ Work. Find out more here. This story was written and produced by Josh Watson and Daytan Long. 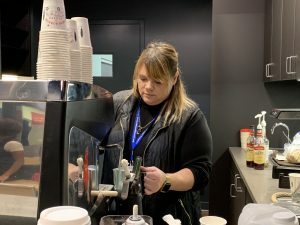 At Covenant House, a new coffee shop is trying to launch people into the workforce and adulthood. 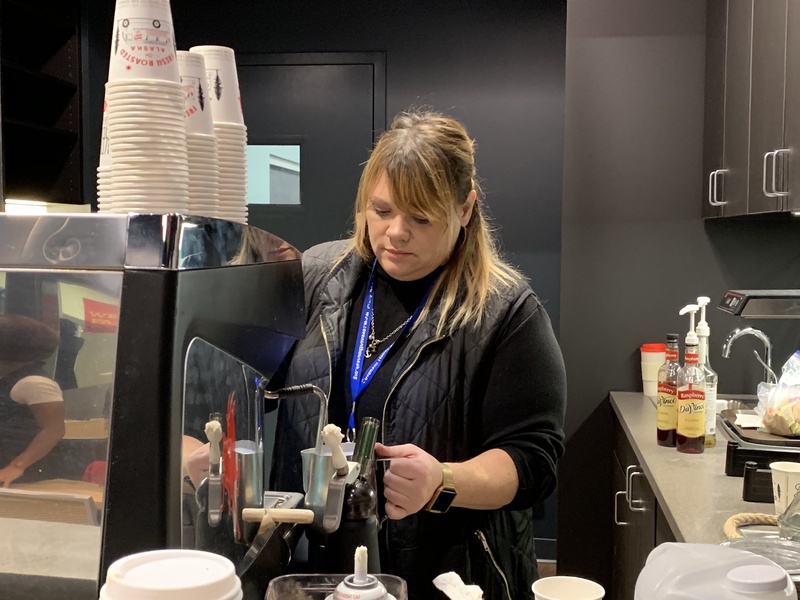 An espresso machine expels steam in a loud gush as Katie Thaggard teaches an intern to make coffee at the new Covey Cafe inside the Covenant House, a youth crisis center in downtown Anchorage. The cafe officially opened in January but Thaggard, the cafe supervisor, started training young people there about a month earlier. The internships are six weeks long but could be extended or discontinued depending on how committed the interns are to the project. Thaggard says they learn skills they can use elsewhere, such as working under supervisors and with other employees. She’s seen her interns grow in their skills. Tobias Lazer, a youth intern, says he wasn’t really interested in the job at first but it seemed like a good opportunity. 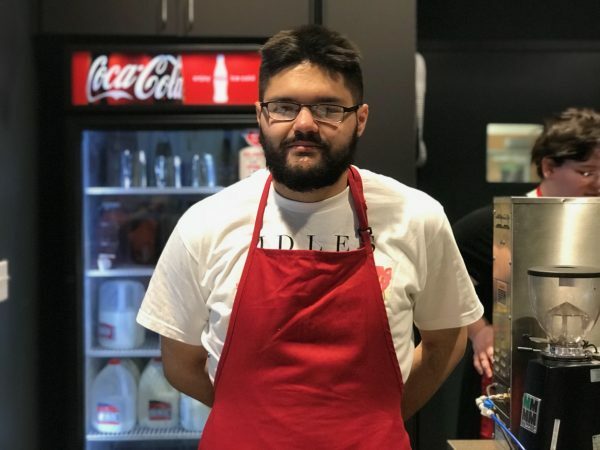 “As somebody who has maybe some time management and stress management issues and is going to school, a job where they could be a lenient or they are okay with me working kinda limited hours, really sounded ideal,” Lazer explained. Then it turned out doing things like managing multiple orders felt natural and comfortable to him. Lazer is training to manage the Covey Cafe and plans to use these skills to work at another coffee shop in the future.